MEADOWSWEET seeds (filipendula ulmaria) from Wildflowers UK. 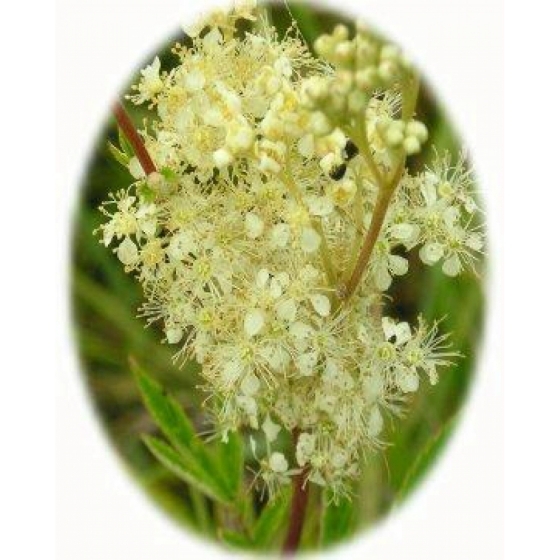 Meadowsweet -filipendula ulmaria– is a wetland plant that grows well on moist fertile soil and is found in water meadows and damp ditches where it attracts a variety of insects including bees, dragonflies and ladybirds. 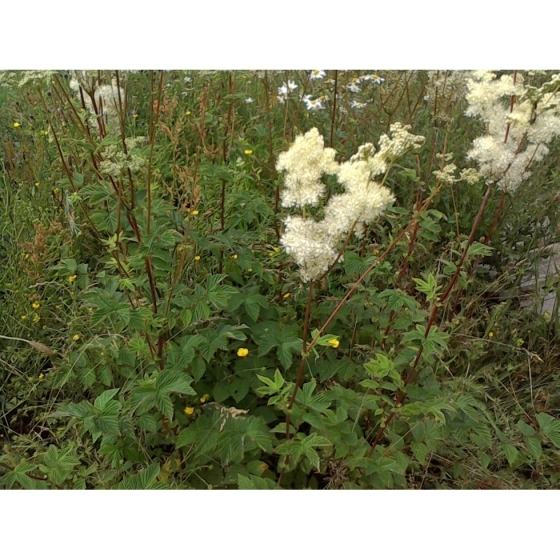 Meadowsweet typically grows to about 1 metre in height and produces cream coloured flowers from June to August that are sweetly scented. In gardens it can be introduced at the edge of a pond. 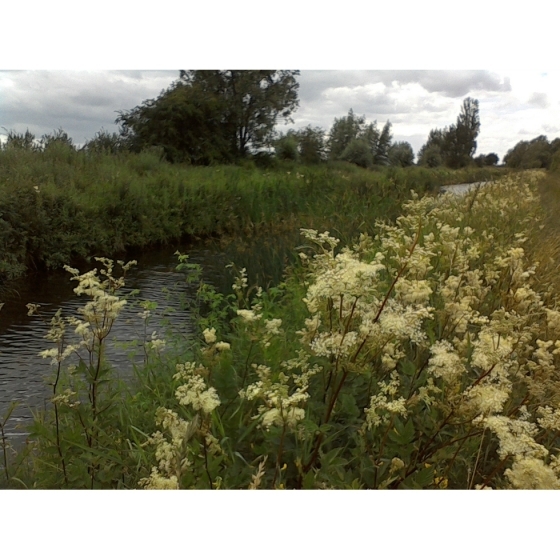 Meadowsweet looks best growing amongst other wetland plants with similar flowering times for example, Purple loosestrife, Hemp agrimony, Gypsywort, Fleabane, Meadow rue and Water Mint. An alternative name for Meadow sweet is Queen of the meadows. Meadowsweet seeds should be sown in autumn, either outside, where they are to flower, or in seed trays and covered lightly with compost. Seed trays should be left outside over winter and the compost kept moist. Meadowsweet seeds should germinate the following spring and the seedlings, can be pricked out and grown on, for planting out later in the year. 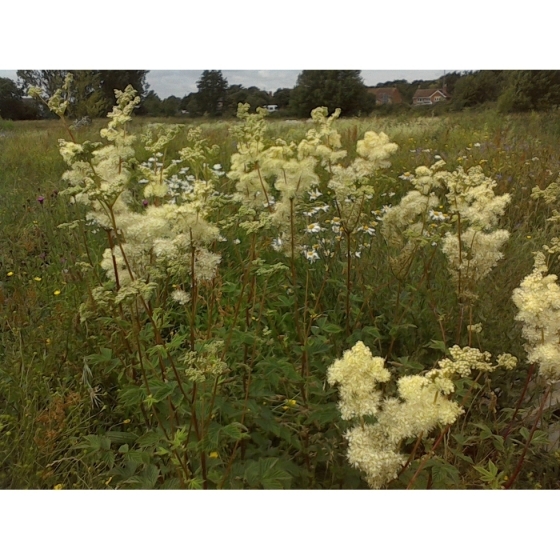 To purchase Meadowsweet seeds please select a quantity above and click add to cart. To ensure the best chance of success, we sell all of our wildflower seeds by weight, which ensures each wildflower seed packet contains a good quantity of seeds. The recommended sowing rate is 1 gram per square metre, and the number of Meadowsweet seeds per gram is approx. 1400. All of our Wildflower seed packets contain seeds of Native British provenance.